The Community Education Program provides grants to support sustainable programs for Australians under the age of 25, promoting ongoing education, skill training and programs making a significant difference to the lives of the participants. Ansvar has awarded over $250,000 to ten worthy Australian non-profit organisations. The money goes to organisations that provide education, skills training and other programs helping vulnerable youth. The program offers group based and one-on-one learning and practical experience opportunities through camps, mentoring, peer support, social skills and independent living skills development. 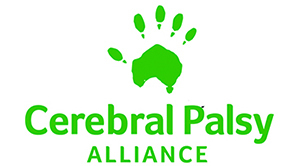 This grant will create a subsidy and scholarship fund to enable youth with a disability who do not have access to NDIS funding because they do not have a formal diagnosis, or who have access but are unfunded through NDIS, to participate in and benefit from our youth program, specifically our SURVIVOR and XTREME TEEN camps. Each camp runs for three nights and four days in the school holidays in Autumn, Winter and Spring. Aboriginal Children have the worst ear health in the world. Between 40% and 100% of Aboriginal children in primary school classrooms can’t hear what is going on. Children who can’t hear, can’t learn. The grant will be used to purchase and fit-out of a Mercedes Sprinter vehicle to be used as a mobile children’s hearing clinic. The mobile clinic will visit schools, day-cares and parenting centres in the east metropolitan region of Perth to screen Aboriginal children’s ears and identify those who need treatment and further referral to the local hospital-based ENT clinic. 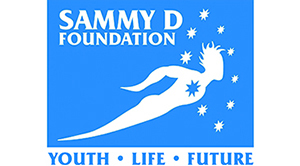 The Sammy D Foundation will deliver 30 Violence Prevention Programs to a range of junior sporting clubs, reaching an estimated 1500 young players, club officials and parents. It is every child’s right to play safely, but unfortunately unrealistic expectations of players, coaches and parents can lead to violence outbursts both on and off the field/court. The grant funding will be used for project coordination and evaluation, program facilitation, travel, development of resources and printing. 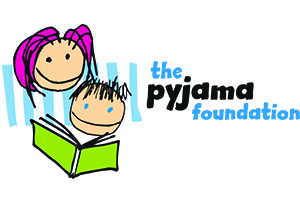 The Pyjama Foundation developed The Love of Learning Program in order to support children in foster care to improve their educational and life outcomes. The program was initially based on the empirically proven impact of a simple activity that most take for granted – having books read to them. The program has now expanded into numeracy and a variety of life skills, socialisation and life mentoring. The grant would enable them to recruit, screen, train and manage an additional 60 new volunteer Pyjama Angels in the Sydney Region. The iMatter program is an evidence-based violence prevention initiative designed to empower young men and women to navigate personal relationships proactively and safely. The grant will partially fund the salary of the Project Co-ordinator to implement and co-ordinate the daily operations of the iMatter program which includes recruiting, training and supervising volunteer leaders; liaising with schools and sporting/community groups and other interested parties; organising and attending workshops and supporting the delivery of the program; debriefing and evaluating workshops; coordinating development and production of an updated resource toolkit; and management of the iMatter App and social media platforms. Enough is Enough Anti Violence Movement Inc.’s LOL Therapy Program consists of 8 days of interactive and fun sessions for children and teenagers aged 12-16 years who are struggling with bullying at school or in the community. The sessions will include elements of laughter yoga; games promoting working together collaboratively, as well as building their self-confidence, and communicating respectfully; mime, movement and exercise; self-expression through art, pottery, and music, and narrative story-telling, and visualising exercise. The program also includes a task nominated by participants that would benefit someone in their community. The Nulsen Youth Patron Program creates a more inclusive society through education and experience. It is a service learning and leadership development program for students which encourages participants to actively improve the quality of life for people with disabilities by building collaborative and trusted social networks which enrich their lives. This grant would fund the cost of the Program Facilitator which is the core cost of the program and the only component without sponsorship. 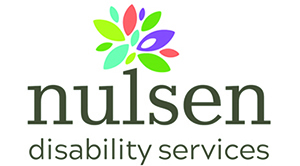 People with disabilities, students and their communities and Nulsen Disability Services all benefit from the program, specifically increased disability awareness and creating a socially accepting community. Red Frogs are already involved in the education seminars at high schools space, however this grant will act as a catalyst to rapidly expand the program as well as ensuring that Red Frogs involvement in this space will be ongoing as they move towards sustainability. The grant will fund part payment of a wage for a person to promote the program, contact schools and manage bookings, production of educational handout materials and ‘beer goggles’ that are used to educate on effects of alcohol. The Anglican Church, in particular, is a trusted institution amongst most East Africans. There is tremendous potential for the Anglican Church to foster social cohesion, mentor, welcome, support and encourage new migrants from East Africa and assist them to thrive as new Australians. This is what Brimbank Anglican Church New Migrant and Refugee Outreach seeks to do. The target audience of the program is children and youth of new migrant and refugee families. The grant will fund employment of a half-time outreach worker to continue to lead a team of 12 volunteers to head up the new migrant ministries, housing allowance and books. 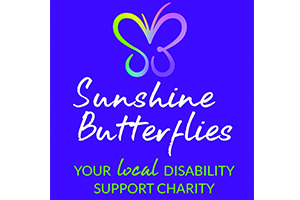 The Our Backyard Jam program, Sunshine Butterflies will be able to provide these members who hope and dream of becoming active, responsible and purposeful individuals, an opportunity to learn and gain the skills they require to move forward with their career goals while being part of a supportive social enterprise initiative. The grant will fund the initial set up of the Our Backyard Jam program which consists of three stages. The first stage is the growing of the herbs and fruits which will be used for the jams and the costs associated with this of setting up the garden and green house as well as the gardening tools required for the production. Secondly, the marketing and design costs of the labelling and promotion of the jam and thirdly, to purchase the first order of environmentally friendly packaging and labelling for the product.